A time of enormous change and upheaval with the Berlin Wall going up, JFK entering office and Russia winning the space race, the 1960s saw huge achievements in technology. Ahh, there's nothing like a rainy afternoon in with your console so we have a lot to thank Ralph Baer for when he envisioned the original in 1966. In May of 1967 he played the very first two-player video game, which he lost, and in 1968 he completed the working prototype. Known by fans as the Brown Box, this became commercially known as the Magnavox Odyssey when it hit the markets in 1972. "I came up with and worked on ideas using a TV set for playing games in 1966" explains Baer on his site RalphBaer.com. Douglas Engelbart completely changed the way people interacted with computers when he invented the computer mouse in 1964. His creation was made from wood and had two gear-wheels that sat perpendicular to one another so as to allow movement on one axis. When you moved the mouse the horizontal wheel moved sideways and the vertical wheel slid along the surface. He filed for the patent in 1967 as the "X-Y Position Indicator for a Display System." In a 90-minute demo showing how the computer mouse worked in 1968, Engelbert was already envisioning concepts like social networking and personal computing long before they became a part of our reality. It was in this demo that he said "I don't know why we call it a mouse." It was British born H.J Round who first reported a light-emitting solid-state diode in 1907 but his work was to languish, along with that by Oleg Vladimirovich Losev, until 1962. In this year, while working at General Electric Company, Nick Holonyak Jr created the first practical visible-spectrum LED. Described as the "father of the light-emitting diode", Holonyak's LEDs were red and not really bright enough to light an area effectively. What happened next? Advancements in materials and research had red followed by yellow and brighter red and red-orange LEDs in 1972 thanks to work by one of his former students M. George Craford. While not technically the man who invented RAM, Robert Dennard was the man who redesigned and modified it to create Dynamic Random Access Memory (DRAM). His insights into how RAM could function more efficiently over a smaller space mean that computers got more memory for less cost and, frankly, took up less space. It was one of the most significant moments in technology as Dennard's discovery meant that one chip can hold a billion or more RAM cells. Just so we could strap it to a shark's head and use it in nefarious ways to kill James Bond, Theodore Maiman perfected the laser in 1960. 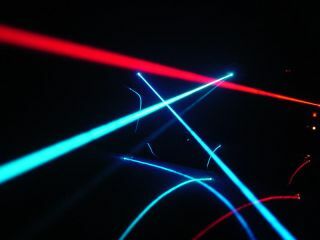 From bar code readers to precise medical procedures to accurate measurement devices, lasers have become an essential part of our lives and it was Maiman's determination at a time when others were losing interest in the subject that we have to thank. Armed with nothing more than one assistant and a ton of ambition, he fired the first laser in May that year. In 1969 a group of employees from AT&T at Bell Labs created one of the most popular and powerful operating systems of the age, UNIX. Ken Thompson, Dennis Ritchie, Brian Kernighan, Douglas Mcllroy and Joe Ossana were among the crew who sat down to develop UNIX on the PDP-7. The name was derived from MULTICS, a project run in conjunction with several large companies including Bell Labs that failed to deliver on expectations. Ken Thompson, along with some other members of this project, spent their now free time to make a system that worked within the MULTICS principles but on a much smaller scale. The result, UNIX, was a success story that can still be read across the open source platforms today.